Massive CONGRATULATIONS to our Woodland Party winners, the Shaw family. 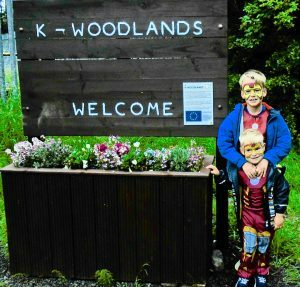 As part of our Father’s Day Super Hero event we offered the chance to win a Woodland Party for 10 guests by liking and sharing your fantastic photos with family and friends, we are really excited to now start planning your adventure birthday party in November. Thank you to all who attended our event and took part in our fun competition, we look forward to seeing you all again soon at our events.